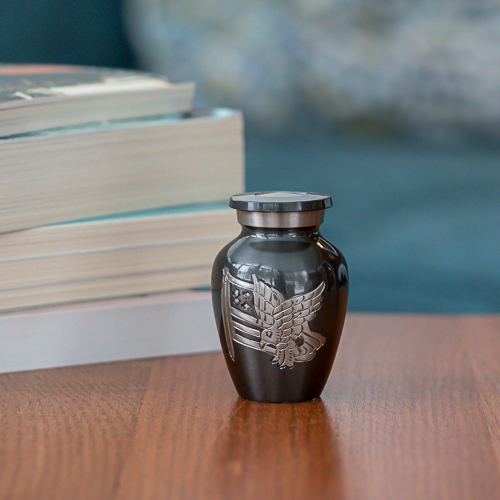 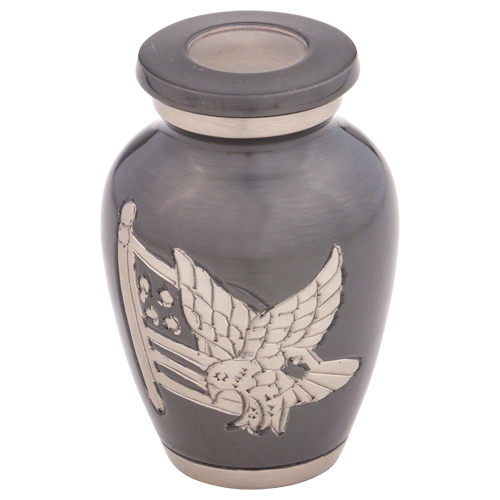 The American Pride Keepsake Urn is a small urn for ashes made from brass and finished in slate gray. 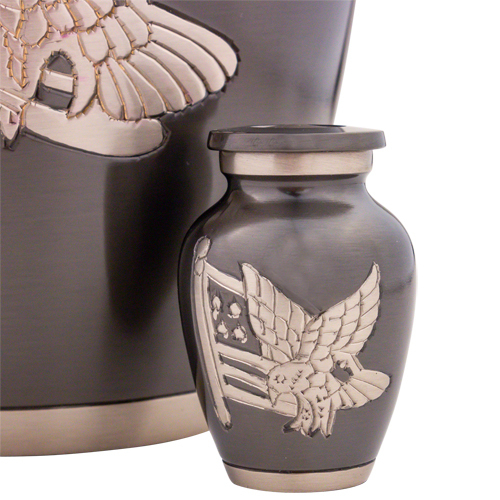 A hand-engraved bald eagle soaring in front of the American flag is the signature design on this keepsake urn. 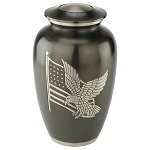 The American Pride Keepsake Urn would be an appropriate choice for a loved one who served our country or for someone who was especially proud to be an American. 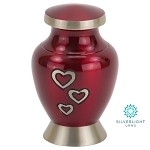 If you wish to personalize this keepsake urn, you may choose to directly engrave a loved one’s name, dates, or a short message. 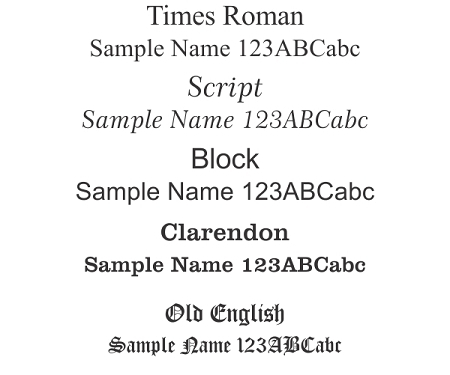 Two lines of text are available. 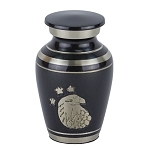 Keepsake urns can be used for a variety of different reasons. 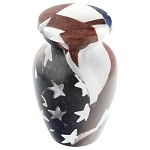 Many people use keepsake urns to share a loved one’s ashes among family members. 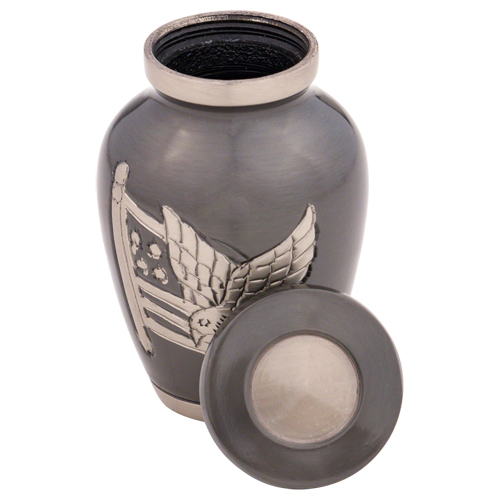 Others use a keepsake urn to keep a small portion of ashes after the majority is scattered, buried, or placed in a columbarium. 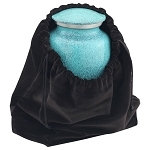 Some people choose to keep a small amount for scattering at a later date. 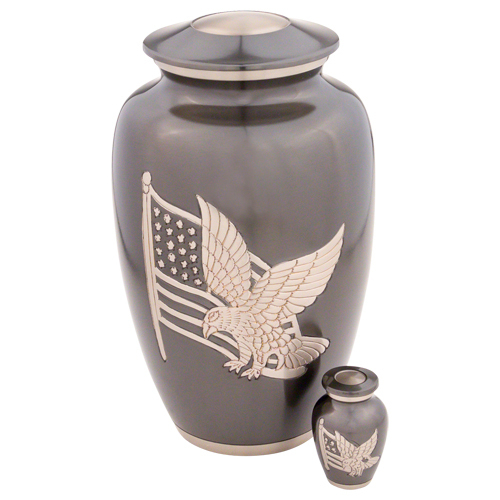 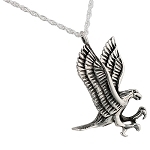 The American Pride Keepsake Urn is a small cremation urn for ashes, adorned with an engraved eagle and American flag.